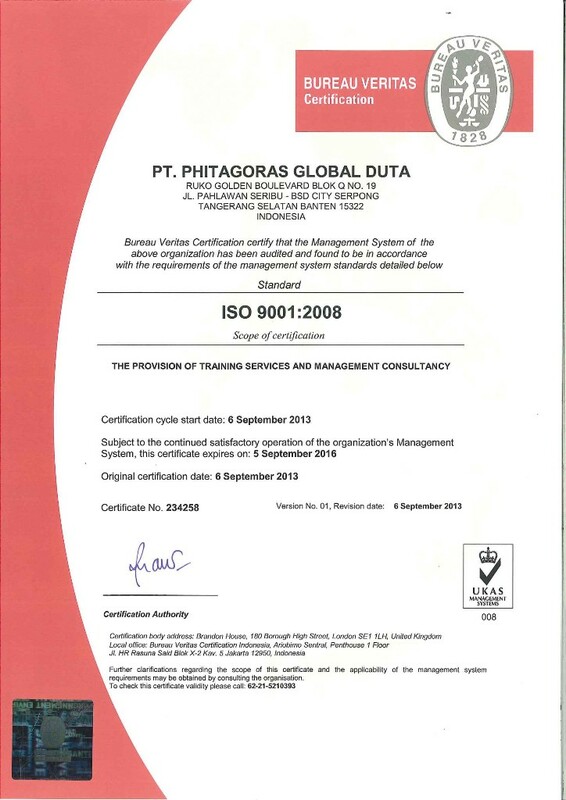 Phitagoras is an ISO 9001:2008 certified Company. 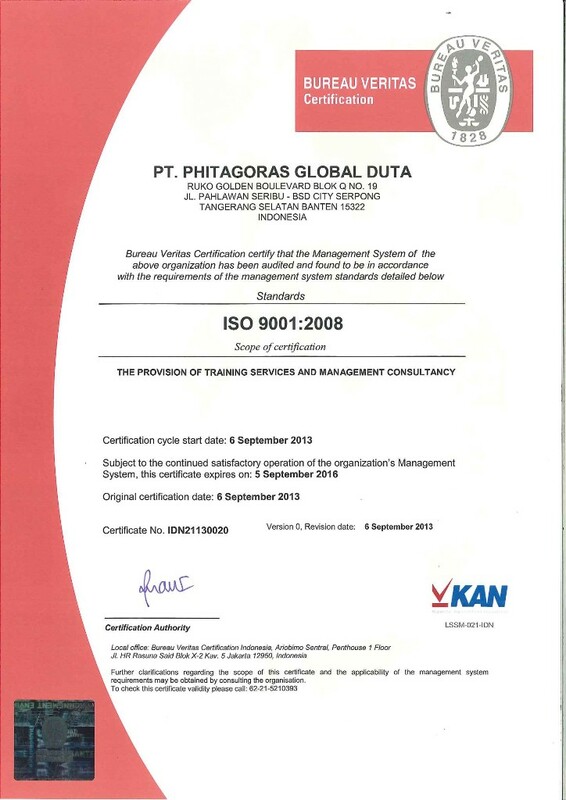 Our Quality Management System is certified by Bureau Veritas Certification (Certificate No. 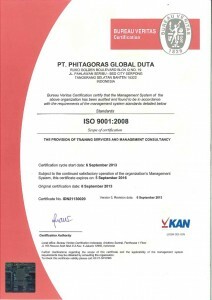 234258) and accredited by UKAS and KAN.This certificate indicate our commitment in providing consistent and excellent services for customer satisfaction. 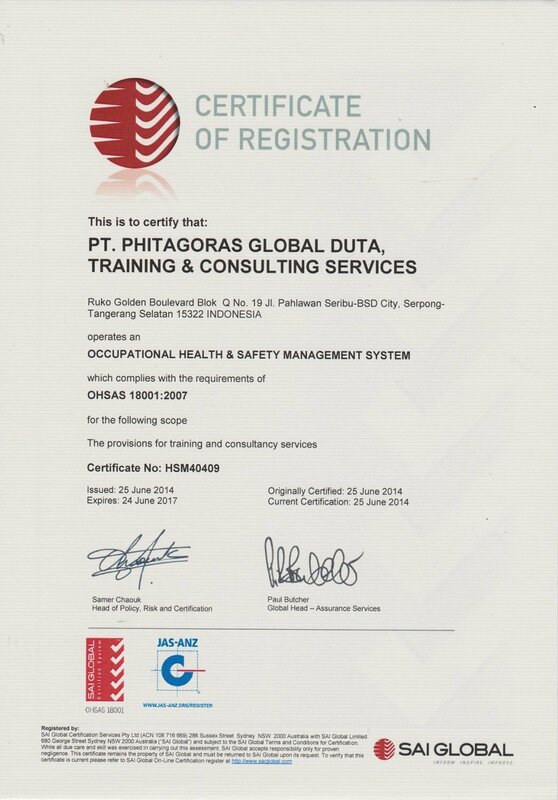 Phitagoras is an OHSAS 18001:2007 certified Company. 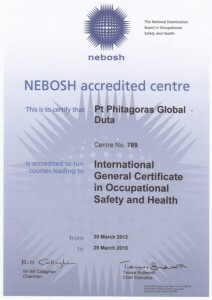 Our Occupational Health and Safety Management System is certified by SAI GLOBAL (Certificate No. HSM40409) and accredited by JAS-ANZ. The National Examination Board in Occupational Safety and Health (NEBOSH), is a UK-based independent examination board delivering vocational qualifications in health, safety & environmental practice and management. Phitagoras (Centre No. 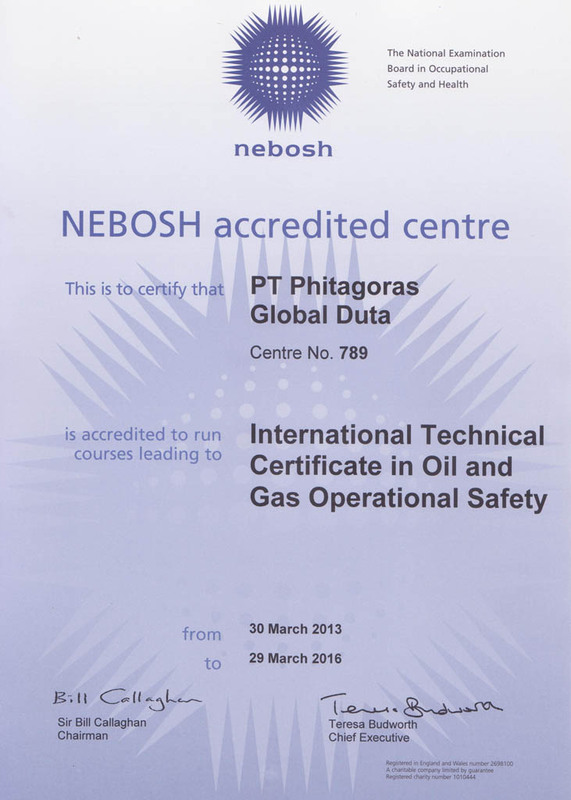 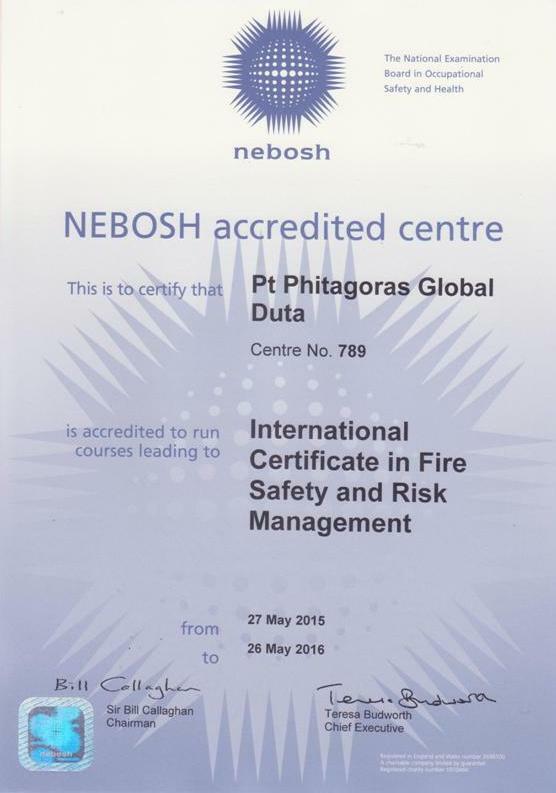 789) is accredited to run NEBOSH International General Certificate in Occupational Safety and Health, NEBOSH International Certificate in Oil and Gas Operational Safety, NEBOSH Certificate in Environmental Management and NEBOSH International Certificate in Fire Safety and Risk Management. 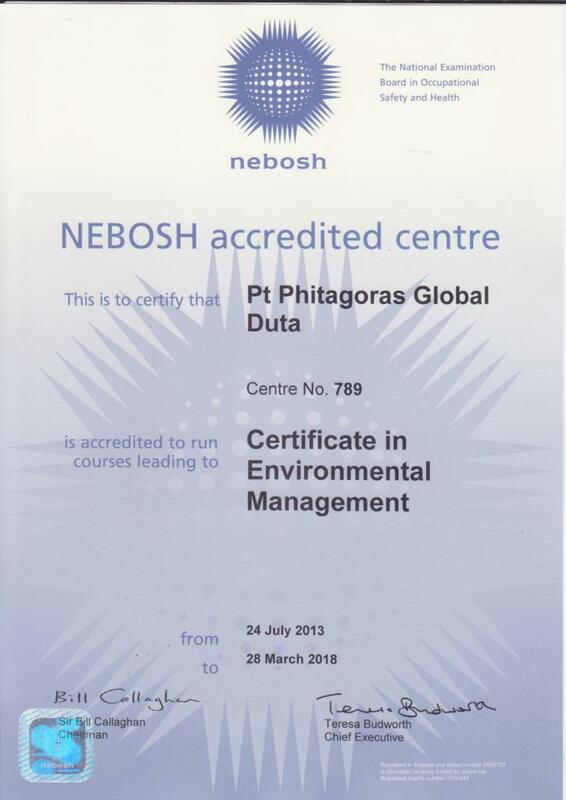 The Chartered Institute of Environmental Health (CIEH) is the UK’s leading awarding organisation for vocational qualifications in food safety, health and safety and environmental protection. 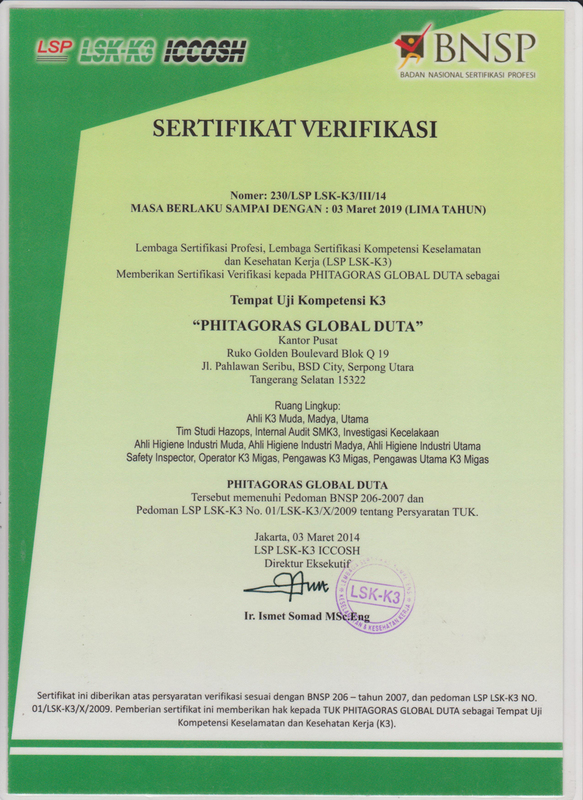 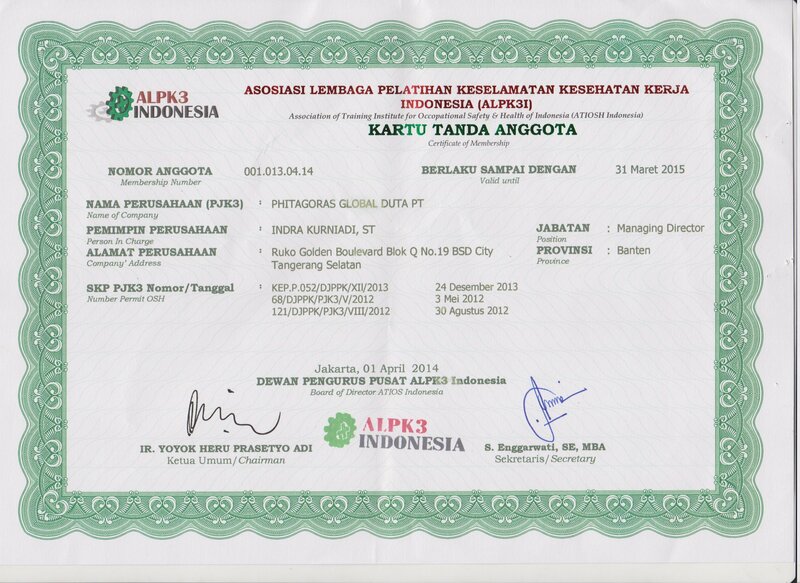 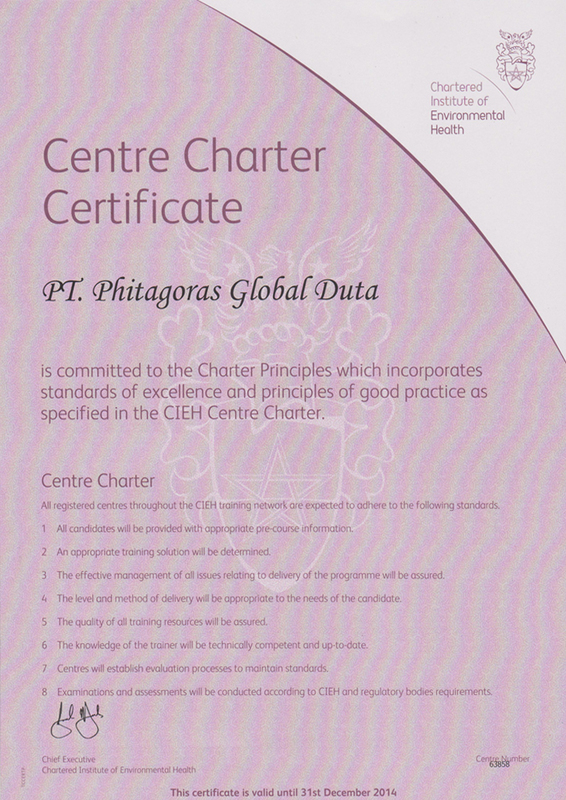 Phitagoras is pleased to announce as the first CIEH Registered Centre in Indonesia (Centre Number 63858). 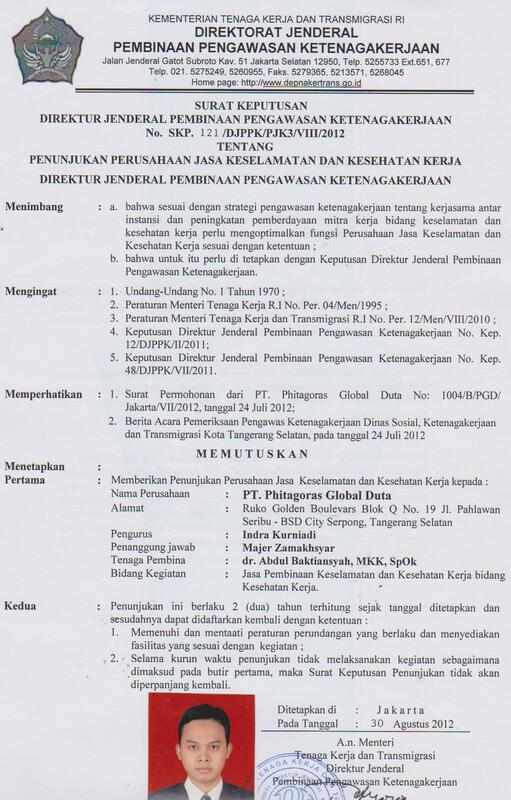 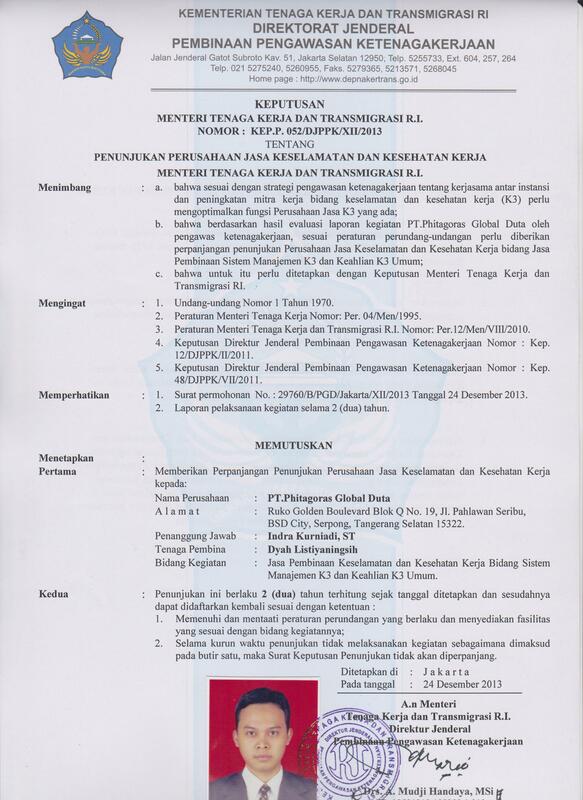 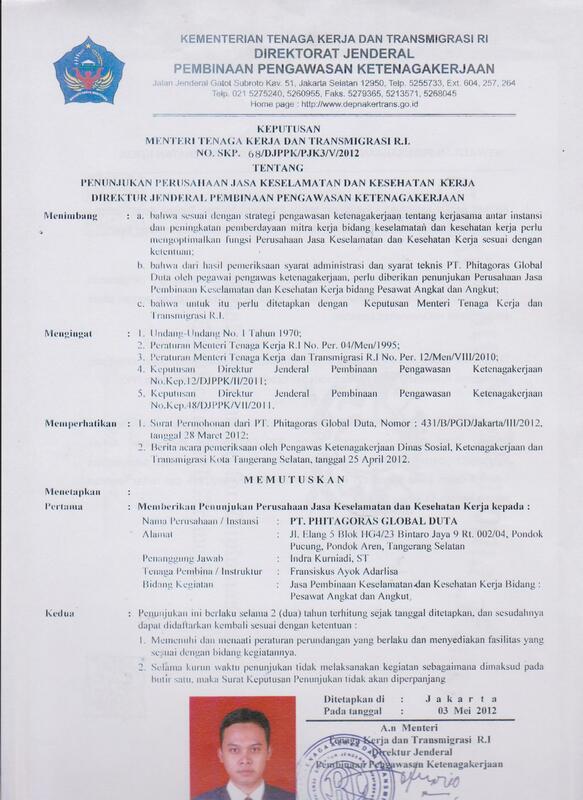 Phitagoras is appointed as Perusahaan Jasa Keselamatan dan Kesehatan Kerja (PJK3) by Ministry of Manpower Indonesia (Kemenakertrans) for PJK3 bidang SMK3 dan Keahlian K3 Umum, PJK3 bidang Angkat dan Angkut, PJK3 bidang Kesehatan Kerja. 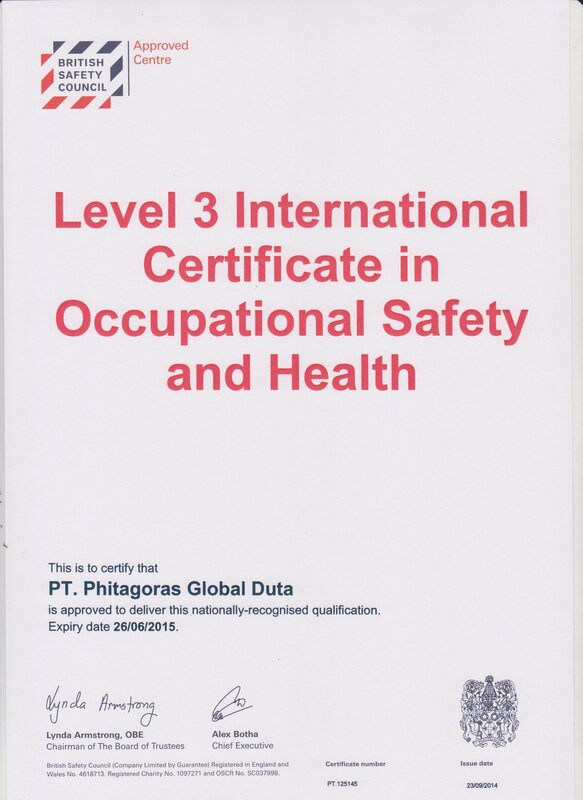 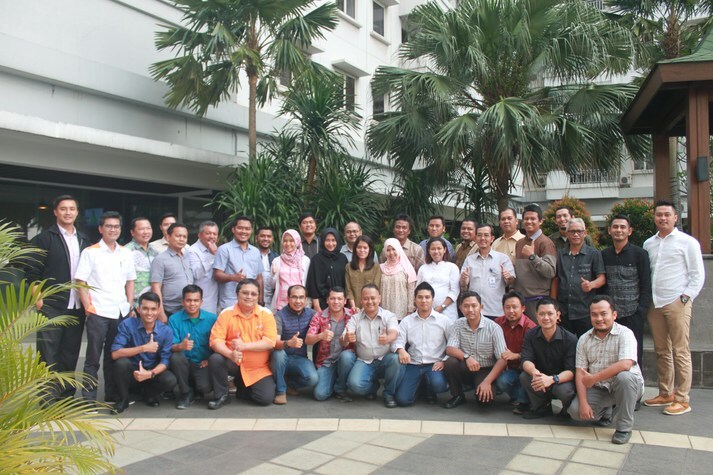 Phitagoras is appointed as “Tempat Uji Kompetensi K3”, certified by ICCOSH (Institute for Certification of Competencies on Occupational Safety & Health) / LSK – K3 (Lembaga Sertifikasi Kompetensi K3) BNSP.